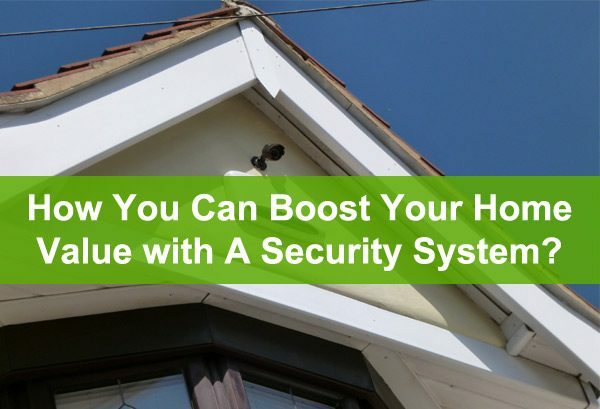 How You Can Boost Your Home Value with A Security System? Alarm Doctor > Security Tips > How You Can Boost Your Home Value with A Security System? In today’s era, the demand for security is very high. Be it outside the home or inside it, nothing is safe if you don’t have proper security measures. Cases of burglary and housebreaking tend to occupy a column in newspapers every day with its petrifying impacts. As per the surveys, many insurance companies come up with a handful of offers for homes with security systems. Better the security system better is the insurance deal. And the wireless alarm system is like a cherry on the cake, you will have a Central control system with expanded protected areas. If you need potential buyers, you got to save their expenses on security system it will automatically increase your home value. Check out our products, it gives a clear image, amazing night vision with alarm triggers. Invest here and boost the value of your home. Once you sign up to an alarm monitoring service, your home will be guarded 24/7. All the security devices will be interconnected. Once a threat is detected, the monitoring center will receive notification and alert proper authorities for a quick response. So if all your financial assets will be under strict protection there is no chance of loss. If you want to prevent everything you have from turning them into Ashes. You need to install a fire alarm from a large variety of fire alarms, a pro at home security systems. The system sensor P2WL, siren, and the Fire-Lite MS4, a control panel will work in your favor. Social media- Be careful about things you post on social media properly access your privacy settings and share things confined to your private network. Door locks- use proper door locks and do refer consumer reports for the same. Emergency plans- Be aware and also enlightened your kids with survival kits, how to arm and disarm the security system. The home comprises of family memories and other essential things that are necessary for survival and some which are close to our heart so its value is way more than an alarm system. And the expense of an alarm system does not even attend to that of a home’s value.